I confess. I am addicted to reading the newspaper daily, and if I’m not careful, it wreaks havoc in my life. I’ve had this problem for years. It comes in part from my lifelong love of reading–ever since I learned to read, I’ve been pretty obsessive about it. I was the kid who read cereal boxes, who always left the library with as many books as I could carry, who filled every minute not required for other tasks with reading whatever I could get my hands on. But my obsessive reading of the newspaper also comes from my training–I have an undergraduate degree in journalism, and ever since those days, I’ve been a daily newspaper reader. I read everything except the sports page (why read it when my husband would be telling me everything he thought was important for me to know?) and the business section (I’d skim that section, not reading more than the headlines unless they caught my attention). l also used to skip the obituaries, but for the past decade I’ve learned to keep an eye on them since too often I’ve found familiar names there. Usually, all my newspaper reading was a manageable activity. Sure, there were days where it led to frustration (especially when I didn’t have time to read it before work, or when my husband hogged the front page section) or even panic (when the regular delivery person was on vacation and the substitute forgot to deliver my paper). But these were momentary; I could handle them. For the past year, however, reading the daily newspaper could set off more than temporary frustration or panic. The constant onslaught of bad news–gun violence, political squabbling, weather disasters, character assassination, to name a few–made my morning reading a grim affair indeed. Sometimes, just glancing at the front page headlines evoked a deep sadness, even despair in me. I found myself fearfully turning the pages, dreading what I would read next. So I reminded myself of the sometimes misquoted advice of theologian Karl Barth. He said, “Take your Bible and take your newspaper, and read both. But interpret newspapers from your Bible.” And this perspective helped. I read the newspaper trying to evaluate what I discovered according to Gospel values. Were the proposed changes to the health care system in our country fair and just to all? What would God ask of us regarding our treatment of refugees? Who is our neighbor and what should our response be to those in crisis? But even those attempts wore me down after a while. This past fall, I found myself reading the paper each morning and then retreating, burying myself in my sewing room, telling myself that I was simply working hard to get ready for a December craft sale. But eventually I realized that I was lying to myself. I was frantically sewing because it was an escape from thinking about what I read each morning. 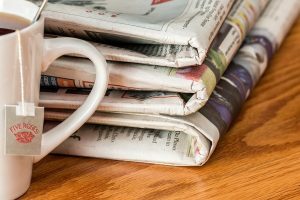 I was willing to be a sewing room hermit so that I didn’t have to face one very important question: what was I going to do about the emotions and conflicts that arose when I interpreted the newspaper through the Bible? Rise up! Do not reject us forever! why forget our pain and misery? our belly is pressed to the earth. Redeem us in your mercy. In recent months, political news and sexual assault and harassment scandals have often had me praying like Job, asking, “Why do the wicked live on, reach old age, and grow mighty in power?” But I reminded myself that I could do more than lament. I could intercede with God regarding the situations. I could pray that our leaders would grow in wisdom, that individuals would have the courage to take a stand, to listen to one another, to change unjust situations, to care for the poor and the oppressed. I could pray for the victims of violence, of greed, of injustice, of illness, pollution, climate change, natural disasters. Yes, I could pray. I know that for many people, even many Christians, this prayer effort doesn’t seem like much. I felt guilty towards the end of 2017 that I wasn’t doing more in response to what I read. I wasn’t contacting my legislators, joining groups to protest or even packing meals to be sent to the hungry in lands devastated by war or famine. Health problems (a dislocated shoulder after a fall and a pulmonary embolism due to who knows what) have justified my inaction for the past two months, but I know that even if I were able to do more, I have never been a person comfortable with most social action. I am an introvert. I have always felt called to be a teacher, but that is the only time I am comfortable with groups of people. But I do believe that prayer is a powerful force in our world. And currently, it is something I can commit to doing. It is a start. I am also able to devote some time to writing again, and so I am committing to share some of my newspaper reflections in the coming weeks. 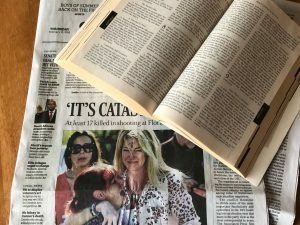 I will try to take one event or issue I am reading in my morning newspaper and share how using the Bible (and Catholic tradition, since that is my faith tradition) sheds light and meaning on the newspaper accounts. Lest this seem to be too little, too late, I am taking comfort in the words of a friend and fellow blogger, Suzanne Shumway, who wrote about how she has been “fighting off a sense of futility and hopelessness about the future.” Referring to the writing of the French novelist Léon Werth who “said that any action taken against tyranny, no matter how small, no matter how personal, helps to make things better,” Suzanne described what she had been doing as “resistance teaching” because she still believes that “education can fight tyranny, injustice and inequality.” Her list of six ways she has engaged in the fight got me thinking. I may eventually figure out how else I can help to make things better in the world, but I will start with these small things, prayer and some writing. They are all that I can do right now, and I will trust that God will show me when and if I am called to do more. P. S. In case you are like me and need a bit of humor each day to get through, I found this, and perhaps my new role model. 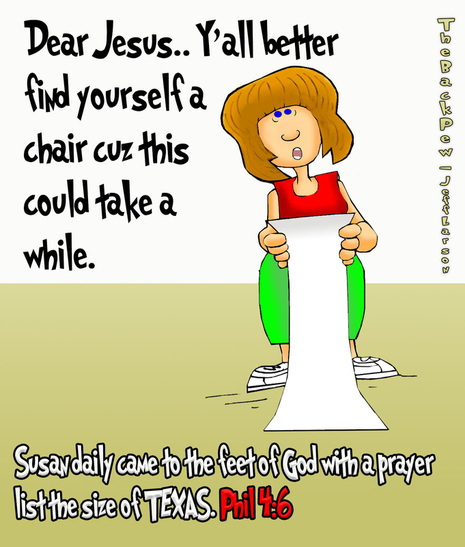 Prayer and writing sound perfect, Nancylee! I look forward to your bible-based reflections. I think it’s worth the wait. Great combo for writing with the wisdom of your experience, Nancylee. Love the way you write, your personal honesty, the way you draw from a variety of sources, and the added humor! Is it Ok to share on Social media? Yes, you can share it on Social media. Thank you!